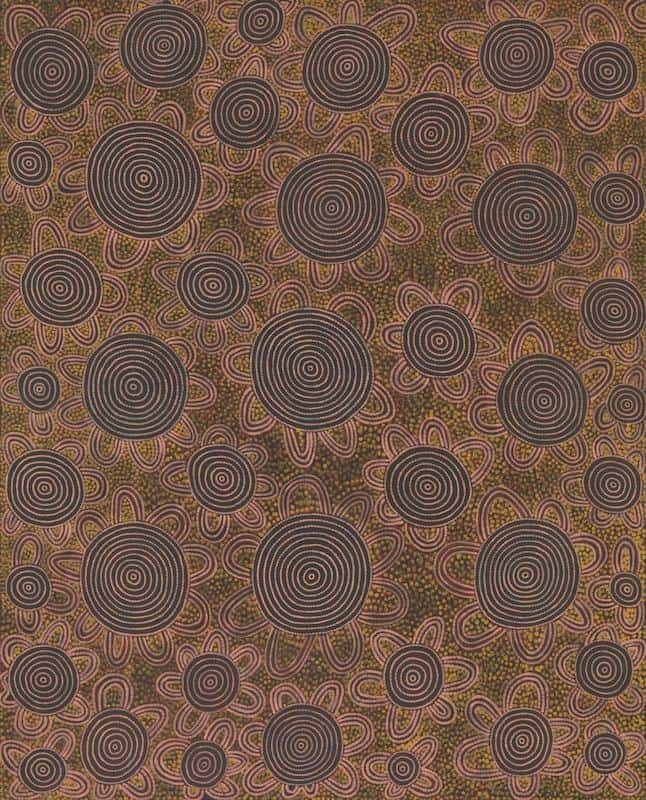 Yanatjarri Tjakamarra was one of the founding members of the Western desert Aboriginal art movement. In the early part of his career, he painted on Composition board. His Early paintings being less than 60 cm x 60 cm. Many of his early works are ritual and contain secret imagery meant only for the eyes of initiated men. His later works are on Canvass but maintain a very high standard and are amongst the best works of this region. 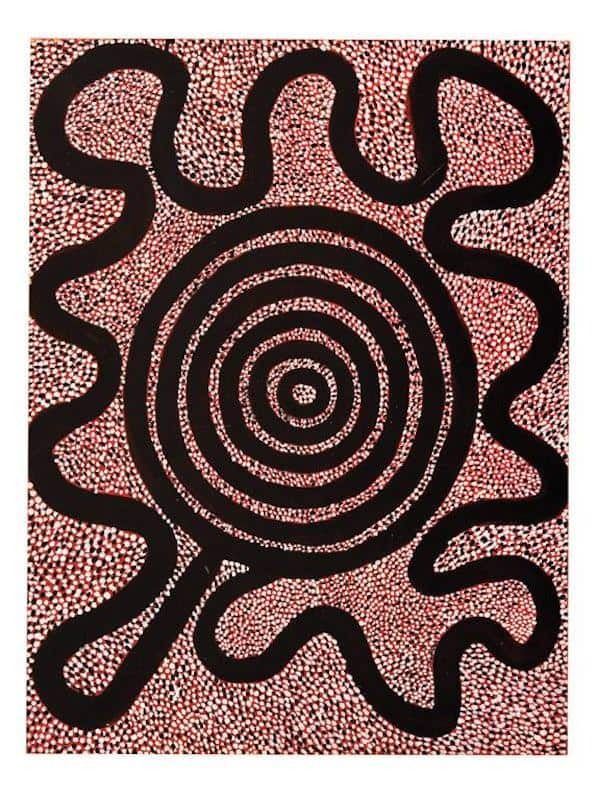 The aim of this article is to assist readers in identifying if their Aboriginal painting is by Yanatjarri Tjakamarra. It compares examples of his work. It also gives some background to the life of this fascinating artist. 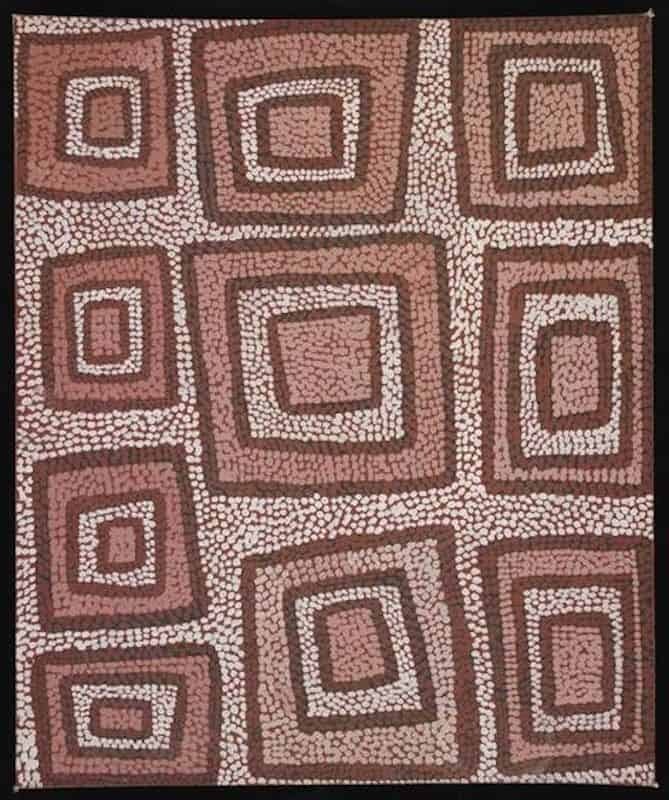 If you have a Yanatjarri Tjakamarra Aboriginal painting to sell please contact me. 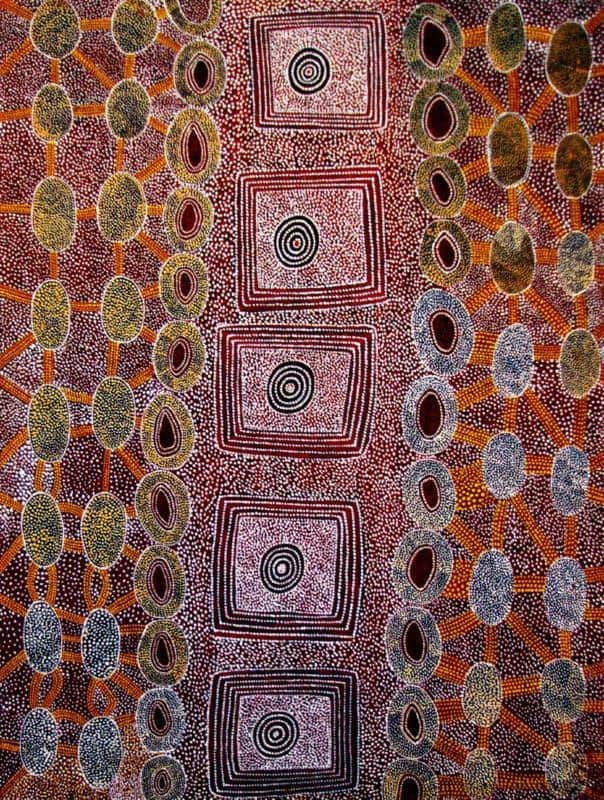 If you want to know what your Yanatjarri Tjakamarra painting is worth please feel free to send me a Jpeg. I would love to see it. Yanatjarri Tjakamarra was born around 1938. He spent his first 30 years in a traditional nomadic desert aboriginal lifestyle. He was one of the last aboriginal nomads to leave his homeland and resettle at the town of Papunya. In Papunya, Anitjari initially worked with, John Tjakamarra Yala Yala and Freddy West as a farm laborer. Later he worked as a gardener with Uta Uta and Phillipus at the local Papunya primary school. 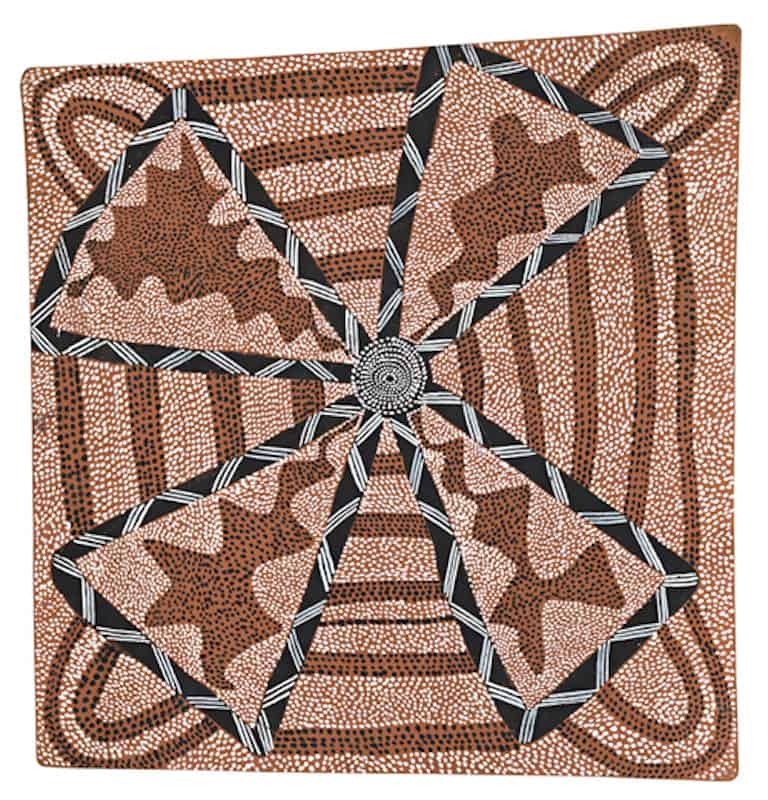 Yanatjarri Tjakamarra earliest paintings often were of ceremonial objects. These objects were often on a black background. Many of these ceremonial objects were secret and sacred. It is a testament to his customary authority that he could paint them. 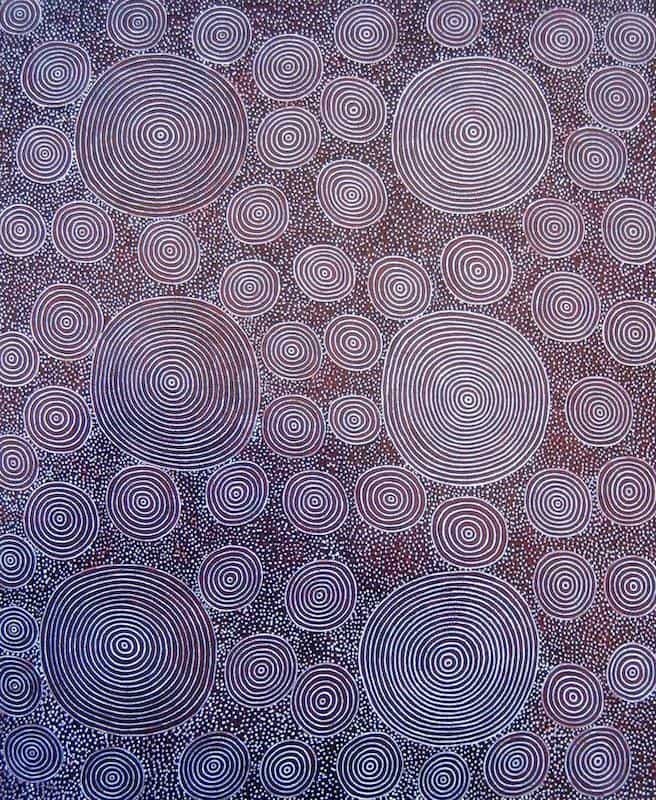 Yanatjari’s early works were strongly influenced by the precise line work of Kaapa Tjampitjinpa. This precise line work soon came to characterize his own paintings. Bardon played a crucial role as friend and adviser for Yanatjarri Tjakamarra. He guided his raw intensity of early experimentation. He helped him develop a more disciplined and workable visual language. Yanatjarri Tjakamarra abandoned the plain black background. His backgrounds soon became red and white designs. These red an white designs often combine to be a wonderful deep pink impression. He would paint sacred objects or elements and designs found on sacred objects. His art was ritually very correct. It contained secret imagery meant only for the eyes of initiated men. His paintings were a graphic network, of lines of travel. These lines linked sites or resting places and form a dense map of Pintupi country. 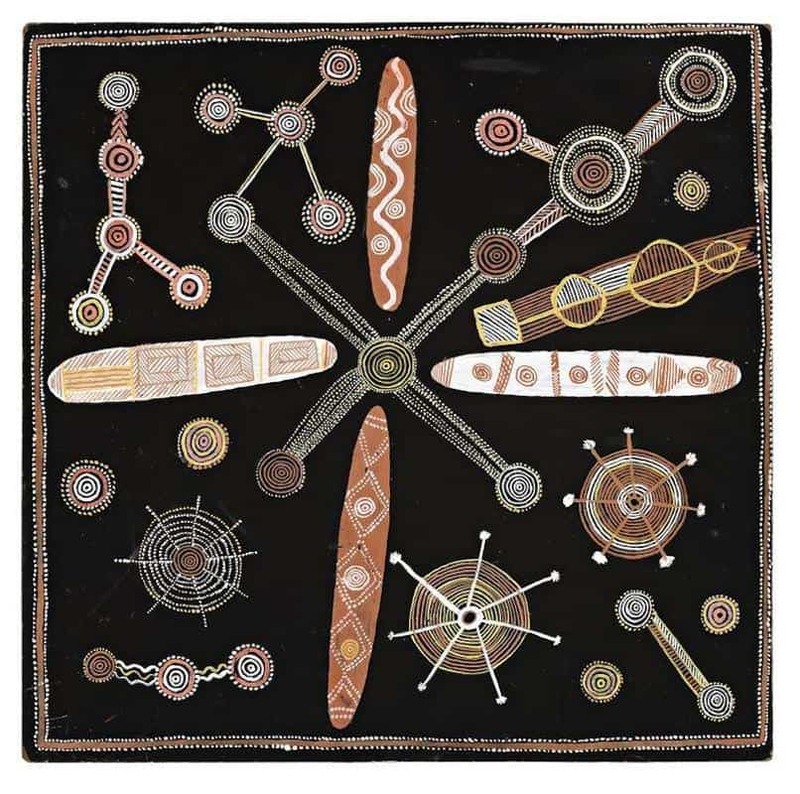 Many of his paintings are depictions of ceremony associated with the Tingari Cycle, Yanatjari, worked with concentrated attention and quickly refined his method. 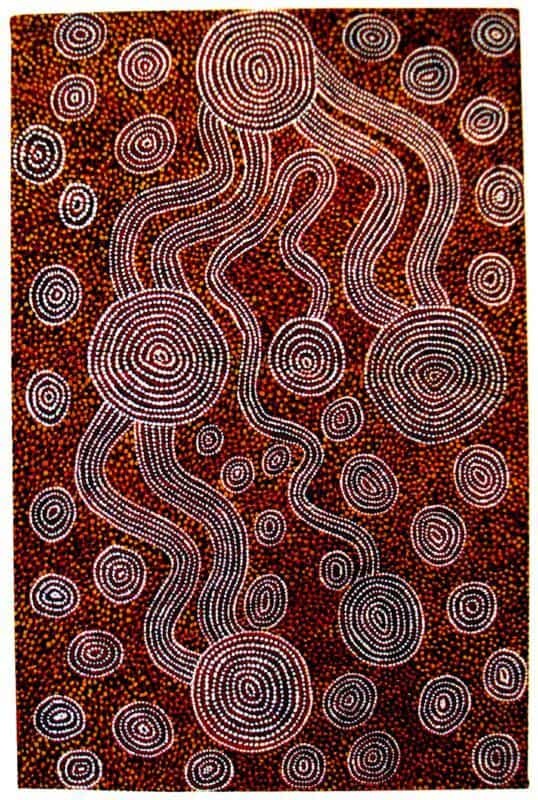 He helped to forge the distinctive Pintupi style. 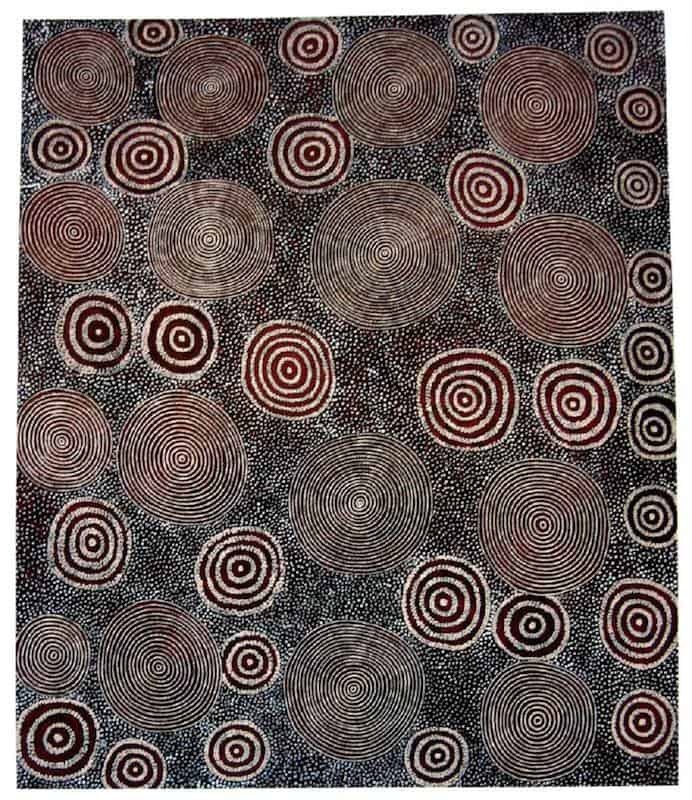 In the early 1980’s Yanatjarri Tjakamarra moved from Papunya and established a camp at Tjukula in Western Australia. At Tjukula he continued to paint and sold his paintings independently. 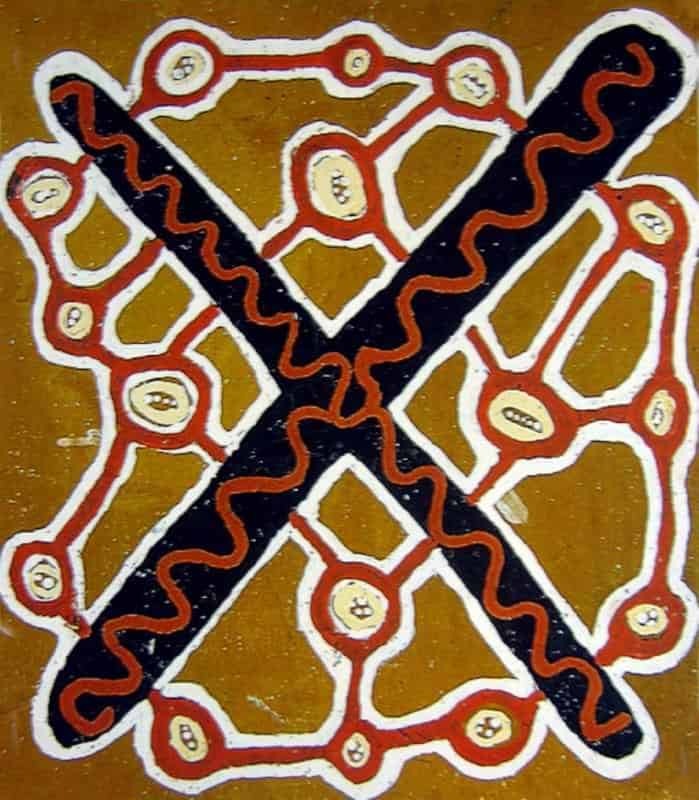 Yanatjarri is also called Anatjara Tjakamarra Anatjari No.3, Anatjari III, Anitjari or Anatjara.